This past week, while going through the inventory of new books, I found an enchanting board book by elodie jarrett , a mysterious self-described French-Swedish designer. Her work led me to http://www.studiolaloretsgen.com/  and the website of Marie Anne-Bruschi https://www.re-voirparis.com/a-propos/ . Please visit her portraits of Parisians, and explore Paname - the neighborhoods of Paris. It helps that her Paris is presented as this lovely guidebook. 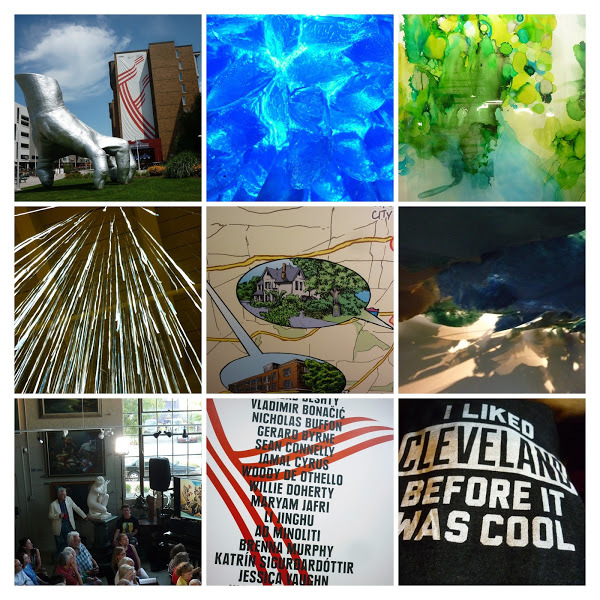 I am very grateful this year for Front International and efforts by the Collective Arts Network (CAN Journal)  to promote Cleveland's wider geography of the arts. We must invite Ms. Bruschi here to curate the next Front Trienniel. She has the panache and design skills to do the job right. A few images from my Paris experience  this summer.